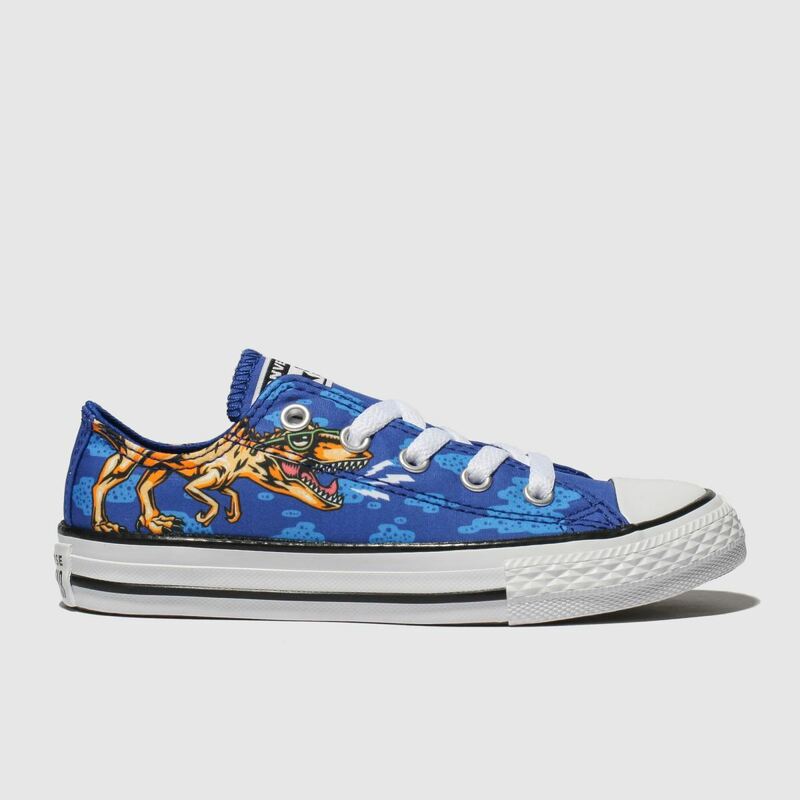 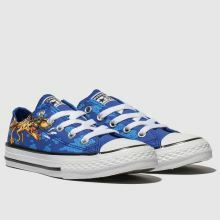 Downsized for dino-obsessed kids', Converse deliver the All Star Dino Lo profile. 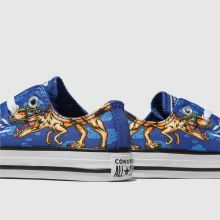 The blue man-made upper features a bold dinosaur print and arrives packed with prehistoric style. 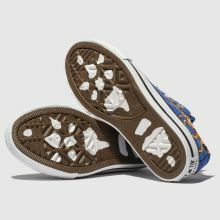 Classic branding and a footprint on the vulcanised sole competes.